You could also enhance your vehicles or your windows with custom decals; we’ll ensure that they adhere properly and don’t get wrinkled. Flags are another advertising medium that we’re familiar with. 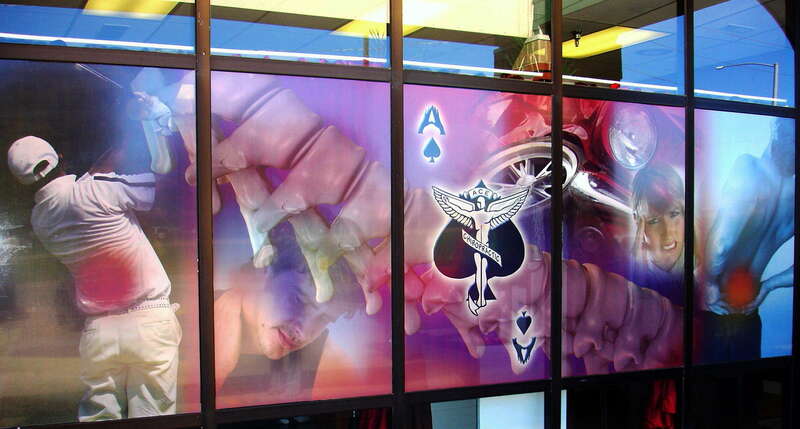 Our studio creates blade, teardrop, feather, and flutter flags. Rest assured that we use high-quality materials and laminates, and we can expertly match the colors of your current brand. Our cutting-edge technology allows us to print up to 1440 DPI resolution. Barring any extreme environmental conditions, indoor graphics can last indefinitely. Our inks are also resistant to UV light. We’ve helped set up conventions, parades, press conferences, sporting events, charitable events, and weddings. The SpeedPro franchise has provided solutions for brands like Google, Wendy’s, Caterpillar, Kia Motors, and SeaWorld.